Low Carb Magic Cookie Bars! 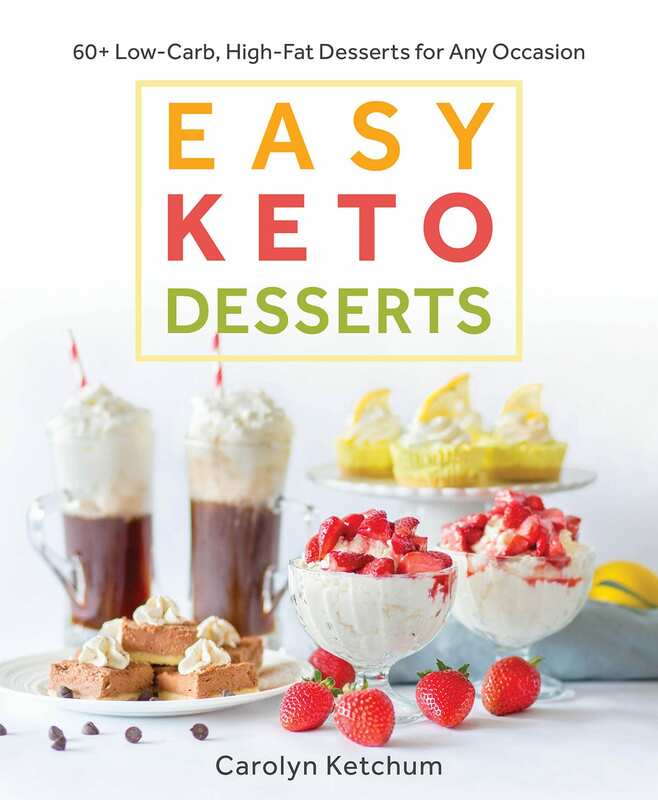 One of my all-time favorite treats now comes in a keto and grain-free recipe. Use my easy sugar-free condensed milk to make this classic dessert in a healthy form. This is an updated recipe, now even easier and more delicious! Oh, my low-carb, non-sugar friends, you are going to love me. Love me! 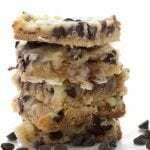 Because I have come up with a great new recipe for sugar-free sweetened condensed milk, perfect for making this low carb, gluten free magic cookie bars recipe. I updated the condensed milk recently and now it’s even easier than ever. No need to stand over the pot, stirring for hours on end to reduce the mixture. The new version comes together in about 30 minutes and uses 3 basic ingredients! 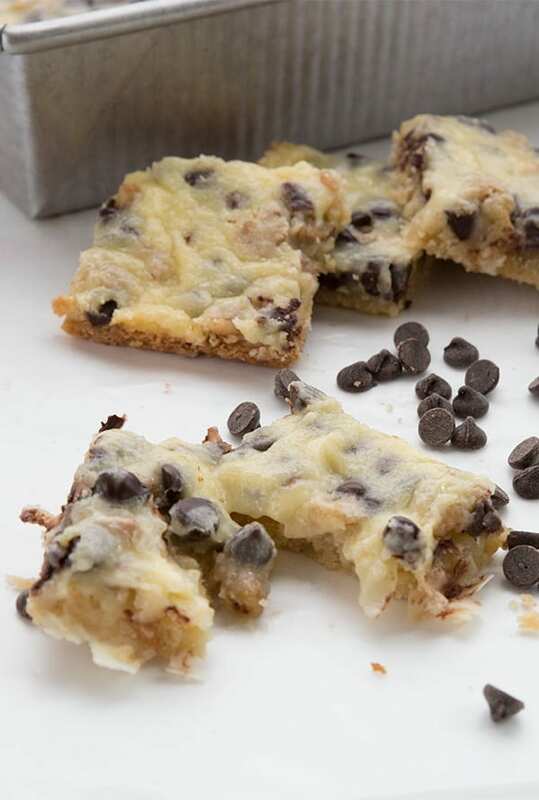 So now you can get to these delicious keto cookie bars even faster. Magic cookie bars were one of my favorite childhood treats. They were so easy to make, perfect for a kid trying to flex her newly found baking muscles. And they were so satisfyingly gooey and delicious. Everyone I knew loved them, but they all had different names for them. 7 Layer Bars was a common one, because the traditional version had 7 ingredients all layered together. My family referred to them as Hello Dollies; I have no idea why but that’s what I grew up calling them. It was only once I moved to the US that I heard them referred to as Magic Cookie Bars. When I went low carb, I assumed that these wonderful gooey bars were now off limits forever. Of course they were, for heaven’s sake! 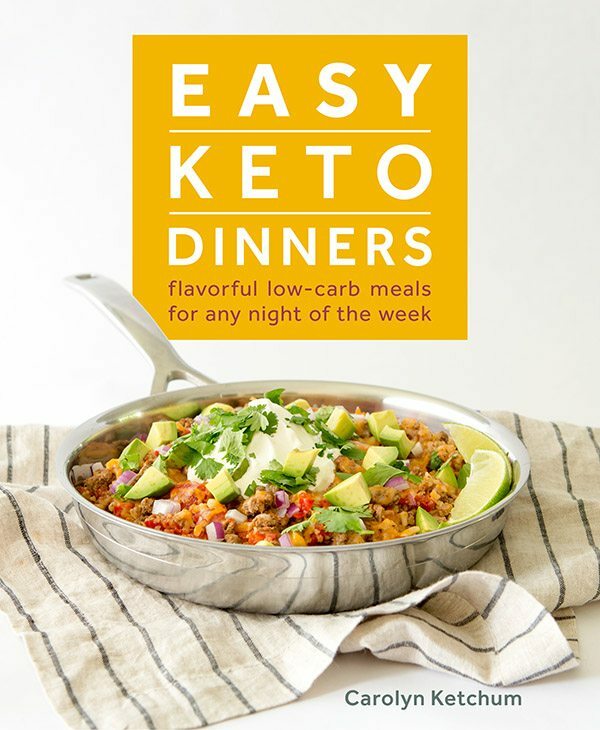 They took at least three ingredients that were so very much not low carb or healthy. Graham crackers in the crust, chocolate chips, and sweetened condensed milk. All things that were on the keto no-no list. Unless, of course, you can find leto-friendly alternatives. Dare I even dream that it was possible? Heck yeah, I dared. I dared greatly. And it was indeed possible! The biggest obstacle was coming up with a low carb sweetened condensed milk recipe. Which actually wasn’t that much of an obstacle at all, as it turns out. My old version was great but a little higher carb because it contained whole milk. It also took a lot longer to make, as you had to boil it for over an hour. My new sugar-free condensed milk is faster, easier, and lower carb because it takes only heavy whipping cream. The graham crackers obviously had to go too. Thankfully, nut flours and meals make a great substitute for low carb crusts, and taste just as good if not better. A little butter, a little sweetener, a little salt, pressed together into the pan and presto! A keto graham cracker crust. Those chocolate chips were a bit of an issue for a while. For a long time, I would use 90% cacao chocolate, which still had a bit of sugar. 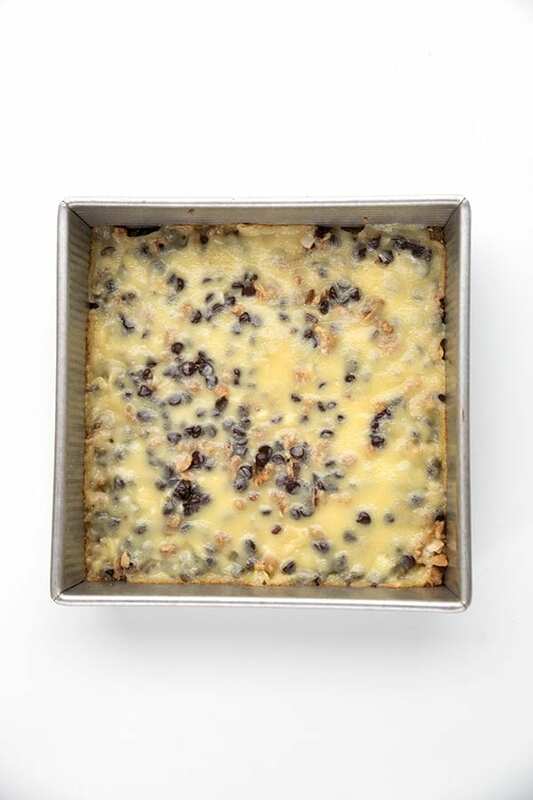 And the original version of these magic cookie bars had that as part of the recipe. However, since then there have been a few developments. One being my homemade sugar-free chocolate chips, which are perfect in this recipe. The other is that there is some great low carb chocolate on the market now, including Lily’s chocolate chips. With all these pieces in place, I was ready to re-create that beloved childhood treat. 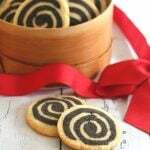 My old recipe, which I originally published in 2012, was better than I could have hoped. They smelled just like magic cookie bars when baking, they looked just like magic cookie bars when being cut up, and they tasted just like magic cookie bars when eaten. They were less cloyingly sweet than the conventional bars, but that is definitely a good thing. The updated version is very similar, except that I use my new sugar-free condensed milk. I’ve made the crust a little less crumbly as well, and I used Lily’s chocolate chips or my own homemade chocolate chips in place of the 90% dark chocolate bar. This means they have the same great taste but fewer carbs. Now that’s what I call an improvement! I am looking forward to playing more with my new low carb condensed milk recipe. I have already made some gorgeous Key Lime Bars that you need to try. And I am pretty sure that this recipe will work just as well in my low carb dulce de leche and coconut flan recipes. But believe me, the first thing you should make with it is a pan of Low Carb Magic Cookie Bars. Or Seven Layer Bars. Or Hello Dollies. Whatever you want to call them, just get on it! For the crust, whisk together almond flour, sweetener, and salt in the bottom of a 9x9 inch baking pan. Add melted butter and mix in until mixture begins to clump together. Press firmly and evenly into the bottom of the pan. Bake crust for 10 minutes, or until just beginning to brown around the edges. Remove and let cool. Increase oven temperature to 350F. Sprinkle cooled crust with chocolate chips, coconut and nuts. Pour sweetened condensed milk over top and bake 20 to 25 minutes, until mixture is bubbly and beginning to brown. Let cool in pan and cut into 16 bars. I’ve just discovered the greatness of Swerve (and Zsweet). I wish I could do dairy right now, I’d be allll over these. They look SO GOOD! I just experimented today with a dairy-free version of this, made with almond milk. I haven’t had the chance to try the finished cookie bars yet, but I think it worked! Oh cool! I wasn’t sure almond milk would work at all for the condensed milk. Let me know what happens in the end. I’m a little late to the conversation, but I just wanted you to know I made a double batch, using half and half with water in place of the whole milk, and it only took about 15 minutes more and it is delicious! It wasn’t as thick as real sweetened condensed milk (I probably should have used more xantham gum) but it is sweet and caramel tasting!! Thank you for all your recipes!!! I have made this using coconut milk and it turned out great. Several people have said the same so I am very glad it works! Coconut milk from the can? I made the sweetened condensed milk with coconut cream and it seem to turn out fabulous! How much Coconut Cream? Same as Carolyn’s original Condensed Milk recipe? 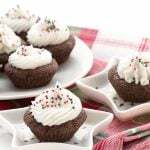 wow these look great and gluten free! Even BETTER! Hoo boy, Carolyn, I haven’t even had breakfast yet (am trying chia-flax thing today, finally remembered to pick up chia at the market) and now I want these instead. Next batch, can you get rid of the calories, too? LOL. Often we low-carbers forget that calories actually count, too. Oh girl, I feel the magic just looking at them! Well, now that I know how to make my own sweetened condensed milk I don’t know that I will ever leave the house! One of my all time favourite Christmas goodies (the only time we made them). My Mom and I will give this version a whirl this holiday season. 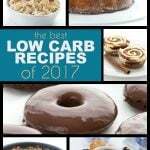 I’ve been compiling great recipes for our annual holiday baking (since this is our first Christmas low carb). Thanks! You are my hero. The full-carb version of these (Hello Dolly Squares is what I grew up calling them) are some of my favorite holiday treats. I never thought a low carb version was possible! So excited to try these out! Can’t wait to try this recipe. Do these bars need to be refrigerated if made a few days ahead of serving? I completely and totally believe these are magic. They look absolutely perfect! These look delectable! I can’t wait to try them. May I ask, how much low carb sweetened condensed milk do you end up with? Is it one cup? Thanks so much! Thank you. Apparently, I can’t read the entire recipe before I jump in and ask questions! LOL! Thanks for your patience! You are an absolute genius! I’ve been checking out your recipes, wow! Gives me hope that maybe I can do this after all. Hi: I am wondering if Coconut Milk and Coconut Creme can replace the dairy and Can Sunflower Lecithin replace Xathan. gum for the thickener? Coconut milk and cream are fine for the dairy, but I have no idea about the lecithin as I have never worked with it. I am SO excited for these! Can NOT wait to make them. Your recipes rock! As always, looks scrumptious! I make a condensed milk with coconut milk for my Magic Coconut Bars (http://simplylivinghealthy.org/2012/02/09/magic-coconut-bars/) I only use 2 Tbsp of coconut sugar so not much in the scheme of the entire dessert but I am definitely going to try using Swerve in the recipe next time! That sounds delicious, I am definitely going to try that out with coconut milk. Awesome to know that a low carb version of these sweet childhood treats are possible! 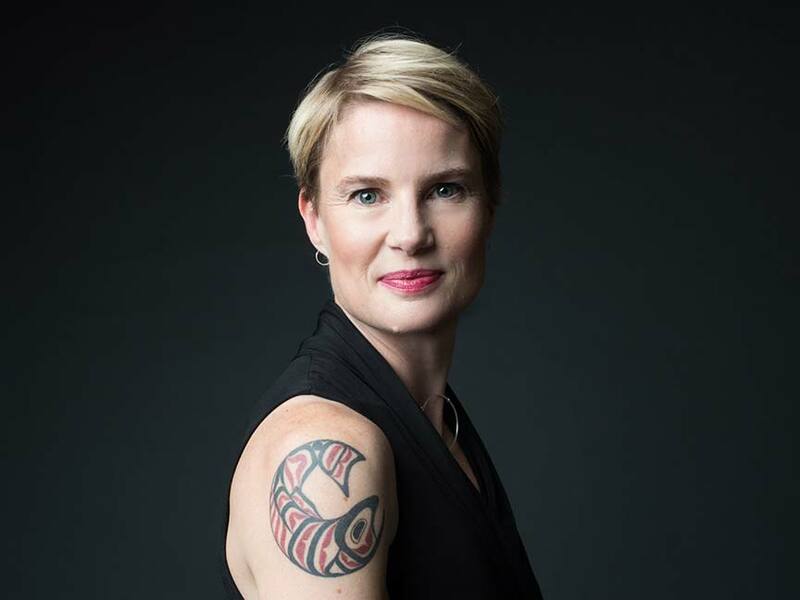 Carolyn, you are a total genius. I am in awe right now. You just blow my mind on a daily basis. I still think of these as hello dollies too and I can’t help but sing the song every single time. Maybe it’s a Canadian thing to call them Hello Dollies? I don’t think it’s strictly Canadian — my mother was from St. Louis and that’s what she always called them. I’m from NC and grew up with Hello Dollies, aka Seven Layer Bars, aka sugar coma. I want to try to make them more authentic with homemade butterscotch morsels (using Truvia) and Lily’s chips. Thank you so much for this! It’s a family tradition I hope to continue, low-carb. When I was growing up in Canada, we called them Hello Dollies too! I’ve never met anyone else who did. These look sensational, will make my own condensed milk tonight. Is the choc amount 3.5 oz or 13.5 oz? That reads as one 3.5 oz chocolate bar. I hate the way it comes out on Ziplist like that! Thanks. Is the almond flour 1 3/4 cups or just 3/4 cup? That one is actually one and one-quarter. I have to find a better way of doing that! Sorry. Your answer to Rebekah was 1 1/4 Almond flour but the recipe still says 1 3/4. Did you mean the latter? Thanks. I had tried the other recipe (from Simply…) with the coconut milk and we did not like that. Looking forward to this version next week. It will likely be appealing to us since we do not have to be dairy free and I have never liked coconut milk. The coconut milk and coconut adds on the carbs too. The latter, yes! 1 and 3/4. I don’t know the other recipe, but I’ve heard people make it with coconut milk and like it. I like coconut milk well enough, but when it comes to sweetened condensed milk, I want the real thing! Love your site. I have not tried any of your recipes until this one… but I have a question… Why have you not corrected the recipe? I printed the Magic Cookie Bar recipe out and when I went to the kitchen to begin making these I found myself scratching my head when I read the amounts. They seemed off, so I pulled up your webpage and started reading these comments, only to find that the amounts are wrong in the recipe. Will you be correcting the recipe so it appears correctly on this page and on the printed page? This would be helpful to your readers. Thanks! I am sorry, I don’t know what you mean. The amounts in the recipe are correct…in a comment to one person who didn’t understand whether it was 3/4 cup or 1 and 3/4 cup, I made an error in my comment. But not in the recipe. The numbers in ziplist can be very close together and there’s not much I can do about that. But several other people have made these bars without any problems whatsoever. The recipe is correct. Thanks. Would putting 1.75 cups work…the “.75” for the “3/4”?? could also do .25 for 1/4, .50 for 1/2?? I just don’t like the way the 1.5 looks. I need to work on this, I guess. I have died & gone to low carb heaven! The condensed milk cooled and thickened up like caramel custard, without xanthan gum! No problems incorporating the butter, it melted and blended straight in. I am awaiting the finished product, can’t wait to try it. What about a berry brulee recipe using your magic milk? I know this is sacrilege, but I am over chocolate & have a thing for berries. It is spring here in Australia, berry season is around the corner. Thanks for the clarification re quantities. I added some extra almond meal cause the batter was sweet and didn’t look big enough. No oat flour here, so used oat bran instead, as we have no gluten issues. What a yum combo, might try oat bran in other recipes. Your recipes are the best, keep ’em coming! Oh, be still my heart. They look incredible! How much stevia powder is equal to 15 drops? Thanks for many scrumptious recipes. I’d say about 1/8 tsp of powder. I am not sure how well that will mix into the condensed milk but give a go and see! One day, when we meet in person, can you sort of kind of put these in your bag and share them with me?! Yeah, that would be perfect. Should you stir the milk mixture for 11/2 hours? I’m not sure I can do that. How frequent should I ? Scrape bottom or no? Hi Barbara. Yup, you really have to boil it down. I stirred every 10 minutes or so (set my kitchen timer). And I scraped the bottom but not the sides. As long as you keep the heat low enough, it shouldn’t get too clumpy. This part puzzles me. Don’t scrape the sides or “you will get chunky bits in your condensed milk.” So you NEVER reincorporate the milk that sticks to the sides or only do it as a part of the penultimate whisk in butter and xantham gum step? Seems to be that the bits on the bottom would be more problematic than bits on the sides. Oh dear oh dear. You are saving the world. Genius. Oh my goodness. I’m sure I’m not the only one who considers these bars to be “crack”. Lovin’ this healthier version! oh, yumm…made these yesterday and you are so right, gotta heart you! 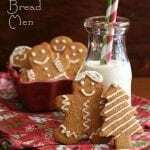 And for those fabulous gingerbread scones last week. Now patiently waiting for the other ‘milk’ recipes. CAROLYN! Seriously. I’ve been dreaming of this very thing for a year now. You are a genius. I made these bars yesterday and they lived up to my very high expectations! They are SO good. I mean, like, I-ate-4-bars-in-4-hours yesterday, good. I would have eaten more, but I restrained myself. 🙂 I’ve posted on Pinterest and Facebook about them with a link back to here. I love your blog – your recipes are ALWAYS good and your writing is great. Thanks for doing what you do- it works! just by the looks of these, you’d never know they were low carb and gluten-free! My 4 year old son was diagnosed as Type 1 Diabetic, and as having Celiac Disease, in one fell swoop last month. It has been wholly overwhelming to integrate the dietary changes necessary to keep him healthy, and trying to make him happy in the process has been incredibly difficult. I am SO thankful I was led to your blog. Oh you poor things, you and your son. What a month it must have been for you. I don’t have experience with Type 1 personally, of course, but I know it’s so hard because there is so much planning needed. It’s easier when not reliant on insulin. Have you heard of A Sweet Life Diabetes magazine? They are a wonderful online resource for diabetes. In terms of planning, the best thing I can say it to make a whole lot of low carb, gluten-free muffins and have them in the freezer, on hand for a quick snack. Most of my muffin recipes are under 5g of carbs so they shouldn’t have too much affect on your son’s glucose levels. Good luck to you both! Is there any chance I could use 2 cups of regular whipping cream instead of the milk and heavy cream? I’d like to lower the car count is possible. You bet. It may thicken up faster so watch it carefully. What would you recommend to substitute for the oat flour (allergic)? Or just use all almond? I miss the smell and taste of oats, but my body does not agree! You could do one of two things. 1 tbsp of coconut flour, or about 3 to 4 more tbsp of almond flour. It would all work very well! Adding my applause. They are scrumptious, though mine weren’t as pretty as yours (not that it makes a difference when they taste soooo good). Any idea why the sweetened milk formed a crust on the top? Too thick? I made it the night before & warmed it before adding. Thanks for another to-die-for recipe! True! Better than the reverse. Coming back to say these were divine! 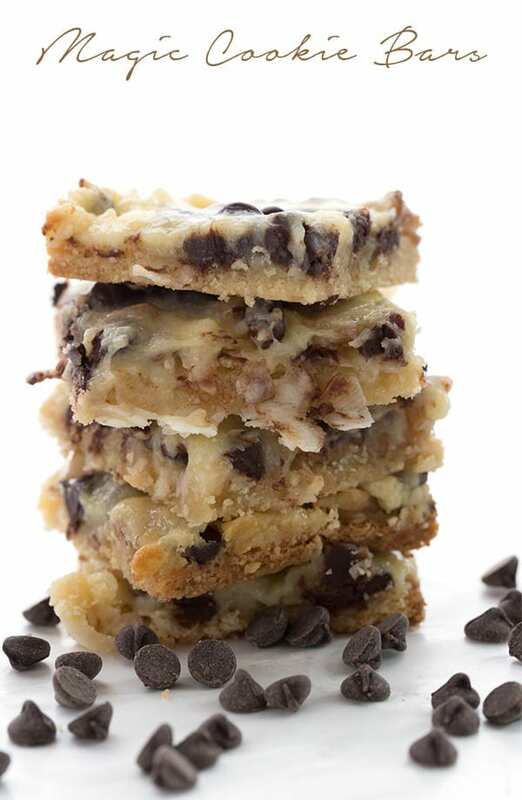 Magic bars are one of my all time favorite goodies, and to be able to make them carb friendly? Yippee! And the sweetened condensed milk came out good, too! Genius, I say, genius! Awesome. This was my Christmas staple. I could eat a whole pan. I was a little too lazy to make the sweetened condensed milk…instead I did the 1 cup of powdered milk (12g) with 1/2 cup boiling water and 2/3 cup Splenda or swerve and blend until thickened in the blender. Very close to the original as well. I have a Christmas favorite back…thank you. You can replace the oat flour with a little coconut flour (about half the amount of oat flour) and the whole milk with more cream if you like. 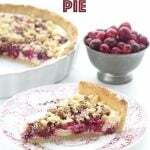 Hi, this recipe looks so good!, I love your recipes!. do you have to use the xanthum gum? Not if you don’t want to, but it does help thicken it a bit more. OMGOMGOMGOMGOMGOMG. In the past 2 days, I’ve made this twice! I used coconut milk instead of whole milk and it came out great! The first time I used it up to make the magic cookie bars. I may use more butter in the crust as it was still a little crumbly for my taste. The next batch is in the fridge until I decide on flan or more magic cookie bars. I’m taking them to work tomorrow so I don’t eat the whole pan! Hi there … a quick question. Can the condensed milk recipe be easily doubled? Do you know how long it would have to simmer? 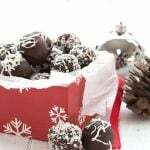 BTW, I made your truffles (must have been that Christmas magic because they just vanished!). I just saw your fudge post and would like to try that too and would like to have some extra condensed milk on hand. I think it could easily be doubled, and I don’t think it would increase your cooking time by more than half an hour…maybe up to an hour, but I doubt it. Let me know how it turns out! So I made this to use for the magic cookie bars. I thought I would be clever and use all cream, no whole milk. The cream cooked down too quickly–in about half the time–and when I added the xanthan gum, the mixture curdled and clumped up. I could whisk it smooth, but it started to leak oil and clump worse. When it cooled, it was a little grainy and dark: basically failed caramel (although it tasted fantastic!) I used it on the cookie bars anyway (underneath the nuts & coconut instead of on top) and it tasted lovely, though it was definitely not sweetened condensed milk. The second time, I used the full amount of whole milk, and the recipe worked perfectly as written. I’m making it into dulce de leche as I speak. The moral is, trust the expert who wrote the recipe. Thank you for this…I didn’t realize that the cream would do that. Very good to know. Several people have asked if they could use all cream and I didn’t think it would be such a problem! Not at all, not at all! You can’t blame yourself for my disobeying orders:). Thanks for replying so quickly, by the way. It took three hours and two out of four kids crying, but I have some pretty tasty stuff to make up for it. Catherine I used 1/2 & 1/2 and water to make mine and it worked fine. So you could probably use cream and water. Then less carbs. But I might be wrong too. 🙂 Thanks for letting us know your experience. I just tried making this sweetened condensed milk. Made a double batch (2 c. milk/2 c. cream). Ive let it reduce all afternoon since it didn’t reduce enough in 90 min., and I still ended up with 4 cups?? Frustrated, to say the least. Wow, that is very strange. Any liquid should reduce when simmered like that. Is it any thicker? I’ve made this as double batches and it reduces just fine. Do you have xanthan gum? You could just see if you could add that and if it thickens up enough. What’s the shelf-life of the low carb sweetened condensed milk? I’ve recently discovered you through pinterest and boy, am I happy I did. Your site has been a great resource (uplift) for my sometimes low carb boredom blues. Hi Alberta…I’ve actually managed to keep my condensed milk in the fridge for slightly more than a week, with no souring or spoiling. Yippee! Hi, made these and became an instant celebrity! So glad I found this site. Two questions for the experts here though: 1) the unsweetened coconut seems quite dry, did I maybe get an old bag; and 2) in the unlikely event there are leftovers, do they require refrigeration? Hmmm, not sure about the coconut but yes, probably not a great brand or bag of it! These can be stored on your counter for 2 or 3 days. Figured it out Carolyn! I condensed the milk too far. It was too thick to saturate the coconut flakes. Delicious all the same but will be better next time. PS: This blog is FANTASTIC! Thank you so much for the effort; you’ve made a difference in my family’s life. Hi Carolyn, I made the sweetened condensed milk and it tasted incredible, but after cooling to room temperature it got extremely thick, more like icing, and the Swerve crystallized again. I had the head too low for the first 90 minutes so turned it up a bit and it thickened up beautifully after another 20 minutes. Maybe it was cooked a fraction too long? The butter incorporated well, I probably didn’t need the xanthan gum. I added the vanilla when it was still warm, didn’t read the recipe right and didn’t have the stevia. Anything here that you think would crystallize the Swerve? I ended up having to heat up the milk in order to pour it over the squares, and it didn’t sink under the ingredients, so it’s like loose toppings trapped between the crust and a layer of icing. Tastes great, but would like to get it right, I love sweetened condensed milk! Oh and I only had about 1/3 cup of milk left so I used water and whipping cream for the rest and it was fine. There are so many variables here that you had to change, it’s really hard to pinpoint what could be the problem. I think possibly turning up the heat made the Swerve crystallize…I find when it’s heated a lot in a liquidy thing, it’s more likely to do that. Also the combination of the cream and water had to play a role in changing the consistency. The recipe is best when the ratio of cream and milk are right. And perhaps you should skip xanthan next time, if your butter is incorporating properly. Then it won’t be quit so thick. Hi Carolyn, I made this again today, kept to your recipe and it worked out great! I made a quadruple batch as I have big plans involving dulce de leche pecan ice cream (once I get an ice cream maker, hopefully tomorrow!) and Nanaimo bars. Yum!! And eating it straight out of the pot of course! I did find again that it didn’t reduce on low, so apparently my stove needs to be on 3 to keep a simmer that will reduce it enough. I ended up with slightly more than 4 cups but I like the consistency. So thanks again, another great recipe!!! Wow, I can’t wait to hear how it all turns out! So I ended up with 4 1/3 cups of it, turned 2 cups into dulce de leche for the ice cream (SO GOOD), made a double batch of your coconut cranberry almond macaroons (without the chocolate dip) and a double recipe of your Nanaimo bar tart, which I put in an 11 x 13 pan to make squares. The filling is a bit soft so I’m going to freeze them for an hour before I cut them with a sharp knife (not your fault, I changed your filling receipe because I didn’t want to use the vanilla pudding powder or the Bird’s custard due to dietary issues). The filling tastes wonderful though, not too sweet. 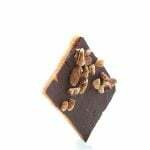 I don’t usually like Nanaimo bars because the filling layer is too sweet, but these ones are great! I used the same amount of cream cheese, whipping cream and vanilla as recommended, did not use the almond milk and substituted 1/2 cup of the sweetened condensed milk instead of the almond milk/pudding powder. I whipped the cream cheese and whipping cream for quite a while, until it was really fluffy, before adding the condensed milk and whipping again. Oh shoot. And I just wanted to make some delicious salted pecan ice cream and will have to try it when I have time to make the other two recipes involved (grin). Off to search your other ice cream recipes for my new ice cream machine. I had some whipping cream on the last day of best before, and no time to actually stir the mixture while it reduced, so I made the recipe in the microwave so I could let it rip without tending to it. I also did not have granulated erythritol, just powdered, and since I didn’t know the amount for substitution, I used 1 1/2 cups for a double batch of cream/whole milk. After bringing the mixture to the boil on 100% power, I reduced the power to 40%, and cooked in increments, stirring every so often till the liquid reduced to just less than 1/2 and became a lovely light caramel brown colour (the colour of light brown sugar). I then followed the instructions, but felt that the condensed milk was not sweet enough, and added some liquid sucralose drops in addition to the stevia drops, mixed it all thoroughly, and put it in the fridge. By this morning, it had thickened to the point of being firm enough to slice…not what was intended certainly, but it is like REALLY delicious fudge. 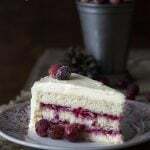 I am going to make the recipe as written when I can get to the store to buy more cream, but in the meantime we will enjoy eating this by the spoon, and loving every bite! I do wonder if cooking in the microwave caused the mixture to caramelize? If the sweetened condensed milk had turned out, I was going to use half of it to make dulche de leche, but it seemed that what I got looked like that without baking in a water bath. Actually, I hear a lot of people actually make dulce de leche in the microwave, and quite honestly, what you did sounds delicious so now I am wondering if I should try it! My husband, who is a type 2 diabetic, has been eating this creamy “fudge” by the spoonful, and just cannot believe that it is not affecting his blood sugar levels. He has been testing after eating it without any spike, and is amazed that something that tastes exactly like fudge can be essentially guilt free. Of course, it isn’t nutritious like vegetables, nor is it calorie free, but this unexpected result from not following your cooking directions has turned into a real treat for him. I am so glad! No, you’re right it’s not nutritious but it’s nice to be able to have a treat! I have made the Magic Cookie Bars with your condensed milk, and they were fantastic. Tonight, I made Key Lime Pie using Joes Stone Crab Key Lime Pie recipe http://joesstonecrab.com/recipes/keylime.html and made it with your condensed milk and it was INSANE! Made a crust of almond flour, butter, & swerve and whipped cream to serve with it. OH MY! Thanks so much for your awesome recipes! Even the non low carbers at our 4th of July celebration loved it! Wonderful! I keep meaning to make key lime pie…glad to know the condensed milk works for it! Any way to do this in the crock pot? You mean the condensed milk? Probably…for 4 hours maybe. Has anyone tried this in the crock pot? I’d love to hear how it turned out! I don’t have stevia extract, what can I substitute with that? Thanks! About 2 to 3 tbsp more Swerve or preferred sweetener. Is it possible to use an artificial sweetener instead of erythritol, like splenda?? I think you could try it, but keep in mind that Swerve has some fiber in it, so using Splenda may change the consistency. I made the sweetened condensed milk… Then the magic cookie. Bars …Delicious!!!! Hey, don’t be scared of polydextrose. It’s just a fiber that’s really very useful in low-carb baking. It’s not very sweet, so you still need to use some sucralose or something, but it is really good at mimicking the bulking properties of sugar. It’s the secret to making desserts gooey. It’s the secret to making sugar-free ice cream that is actually scoopable. Do a little research, maybe buy a bag and play with it a bit. I think you’ll be pleasantly surprised. Feel free to email me if you want to chat about the stuff. I have some polydextrose for ice cream-making but I don’t know where to start. Do I substitute it for sugar, or simply add it to the mix? How and when? Any help appreciated. What about using evaporated milk + sweetener to make sweetened condensed milk quickly? I don’t know that this would be a great option. Evaporated milk has a lot of carbs, even though it’s unsweetened. These look delish! Can’t wait to try them. I think I might use low-carb “Angel Coconut” (unsweetened coconut flakes steeped in boiling water and erythritol or DaVinci syrup heated to boiling for 15 minutes). It’s softer, more moist and sweeter –seems tailor-made for this recipe. I just made both of these! Worked perfectly, delicious. I am having so much fun with your site. Thank you for the recipes. I’m planning on making your Copycat Cream Eggs today and made a double batch of the sweetened condensed milk yesterday. I used all cream and left out the xanthan gum, and it turned out perfect! YUM! I made the bars with half of the milk and they are amazing. Dh (not low carb/gluten free) “snuck” a piece while they were cooling and came to find me to tell me how good they are. I can’t wait to see how the eggs turn out. Have you tried freezing the milk yet? I’d love to make up a larger batch if there was some way to successfully store it for when I needed it. 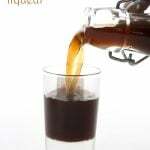 Have you ever used stevia glycerite? I have a bottle of it, and am not entirely sure how to use it, or what a conversion factor is. I haven’t but Maria Emmerich does and might be able to guide you. Saw a recipe for Vanilla Bean Chai Syrup on Food52.com made with regular sweetened condensed milk, so I whipped up your recipe and then added the spices. WONDERFUL! Thanks so much for low carb SCM. Here’s the recipe if you’d like it. Mix together and store in fridge. Use 1-2 spoonfuls per cup of hot tea. Nice! I love the idea!!! I am going to share on my FB page, if that’s okay with you. Sure, just credit Food52.com as the source. I made this yesterday for your ice cream recipe, but right at the end I realised that the bits on the sides were FUDGE! So I’m going to try to make fudge with it next time. 🙂 I guess I’ll follow a standard recipe and use this for the condensed milk and more Swerve for the sugar. My husband gets a funny taste from Swerve, so I’m trying to find recipes where it’s less obvious to him! I also have plans to try to use it in a South African style lemon meringue pie (the “curd” layer has condensed milk in our version of the recipe). Thank you so much! I’ll be trying to make the “plain” fudge I’m used to (no choc/fruits/nuts), but that recipe seems like a wonderful starting point… thank you for all the work you’ve put into your recipe – I think you might have changed my life! I just discovered this recipe over the past couple of days and really enjoyed making it yesterday. We do not have Swerve here in France – and it is difficult to obtain, so I used a little coconut sugar plus stevia powder. My question is about the quantities for the base. Mine came out totally crumbly, so that it did not hold together even a little bit! More butter needed? What could have gone wrong. After all the debate about the figures, the typeface, etc, could you please confirm the right amounts for the crust? Many thanks! Now I have found this site, I should have no problem convincing my T1D 11 year old that she really does want to eat LCHF! What kind of almond flour did you use? I know that the amounts in the recipe are correct because so many other readers have made this. So I suspect it’s something like your almond flour is too coarse (almond meal really) and so it doesn’t hold together as well. That will be it! I cannot seem to buy almond flour here in France. Do you think that I can transform “meal” into flour in a blender? You can try. A coffee grinder might work even better but it would be in small batches. Claire, you can get Almond flour from this source in the UK http://www.realfoodstore.co.uk/ I am pretty sure they ship throughout Europe. Aside from this have you tried Amazon France, certainly amazon UK has lots of brands of almond flour and I am sure Amazon in France would too. Real Food source have different types they also have a defatted micro fine almond flour so you need to know which one to use, but they are very good at giving advice. Well I used the recommended Honeyville almond flour and still had to add another 2 tablespoons of butter to get the crust to hold together. I just made these. Waiting for them to cool to be able to try. Everything went perfect up to this point with the recipe and they look fantastic! Just one question…how to store? In the fridge or on the counter? Thank you in advance! I just made the condensed milk, exactly as the recipe said: Its amazing and taste so great! Im so happy because I will finally be able to do a low carb version of my favorite childhood cheese flan, pumpkin flan & ginger flan!! Not to mention a low carb Thai Tea! Im doing now the dulce the leche….ahh that ice cream is going to be the hit of the Summer! Big Thanks! I made the condensed milk and it worked really well, You cant really get Swerve here, I have seen it on Amazon but its £75 (I believe the supplier is in the USA, no chance at this price) so instead I used erythritol, Now Brand, which I guess is granular though much finer than normal granulated sugar. I put the milk into the fridge as I plan to make your ice cream tomorrow. So its now chilled, when I tasted it, it seems to have recrystallised, it has that crunchiness. I don’t see how one could make it with just the erythritol in chilled products if this happens (and ice cream is certainly chilled) should I have powdered the erythritol before using it, and is there any way I can fix it now? I suspect by reheating but then won’t it simply recrystallise once its made into ice cream. Wondering if anyone else has had this problem? Yes, plain erythritol tends to recrystallize. I would actually reheat it, very gently and when you add the xanthan gum into the ice cream, it may help inhibit the recrystallization. exactly how thick should the condensed milk get? O: I made this tonight. It’s still just coating a spoon, but not nearly mayonnaise thick or gravy thick. It did reduce to about 9oz. I stirred every minute or two for 1.5 hours. It did get a little hotter at points, but that shouldn’t affect the thickening too much, right? One thing I’ve noticed is my local, non-ultra-pasteurized heavy cream froths up before it boils, so I have to take it off the heat and stir a lot to get the froth down before I can let it come to a boil. It sounds like you hit the right point and now if you let it cool, it will thicken up. You can also add a little more xanthan if it end up too thin. Found this while looking for ice cream recipes…it’s fabulous. I am glad it takes so long to make, as I would probably sit down with a spoon and devour an entire batch. This stuff is great. Thank you, I think. Hi Carolyn, I haven’t attempted this yet, but if it does get clumpy….. through my ineptitude do you think it could be saved by whizzing it with stick mixer? Thanks! Yes, I think you could, although I don’t know in what quantities. Do u think the condensed milk would work with soy creamer and almond milk??? I think so, but I don’t know how it cooks down since it doesn’t have as much natural sugar. Coconut milk might work better than soy. The recipe calls for 1.5 cups of sweetened condensed milk. This recipe wasn’t quite that much, but worked out just fine. As I posted elsewhere, my cooking times are significantly quicker, maybe because I’m in Colorado and at a high elevation. Reducing only took 45 minutes and I probably could have cut that down by at least 10 minutes. It was actually pretty easy and the dogs sure didn’t mind the extra thick bits around the edge of the pan! (They are my pre-wash for dishes). It’s absolutely great and I can’t wait to make Magic Cookie Bars with it, they were one of my favorites from my childhood. For the creamer, I think next time I’ll leave out the xanthum gum, it makes for a VERY thick creamer. Interesting to know about the less cooking time. I can’t say for sure but I don’t think the erythritol is key. It’s the slow cooking down of the milk that makes it like real condensed milk. So give it a go with stevia…maybe make a half batch to test it out? Yes, I think I will do that. Try it out first with a small batch and see if it works. I’m over here on the other side of the globe in Southeast Asia and so far I only see stevia. I’m going out for another attempt to search for erythritol. Thanks so much! I am sooo excited about finding your recipe for a low carb sweetened condensed milk! 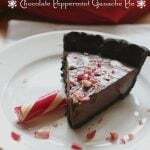 It is amazing to me every day that if you need an ingrediant in the kitchen before you run to the store or pass on your current craving all you have to do is Google the ingrediant, and SOMEONE HAS ALREADY made I diy version!! How cool is that? And the fact that most have spent countless hours as you obviously did experimenting and perfecting a comparable product that we can use as a substitution whether for convenience or dietary reasons is just awesome! 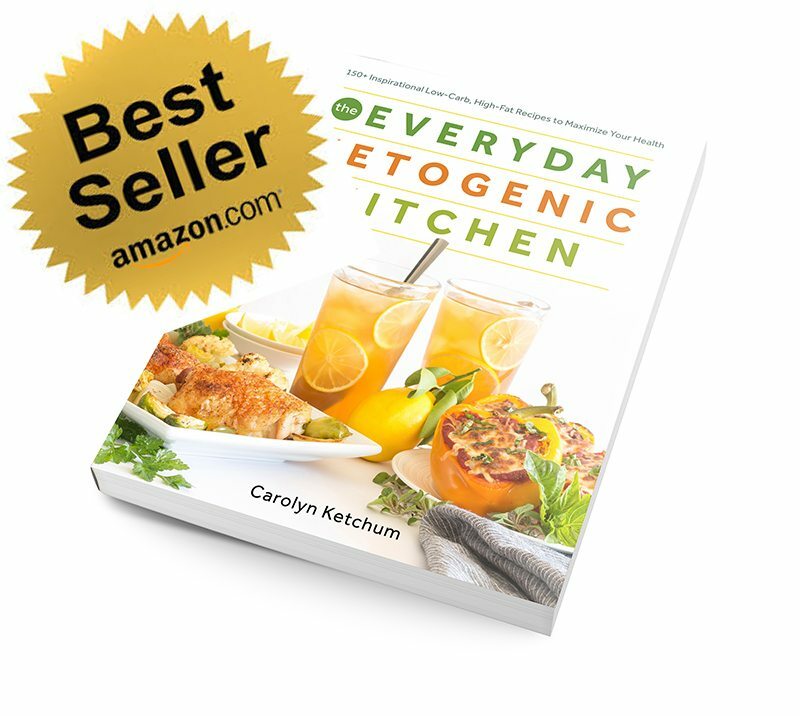 Thank You for this amazing recipe as well as appreciation to all the other kitchen divas out their who have shared their additional ideas! My question is pushing my luck a little but I just have to ask….. Could this be poured into a canning jar, put in the crock pot and cooked to make the Crock pot version of caramel sauce I have been seeing on the web, do you think? I just saw that recipe a few days ago and thought that it was also a great idea! Would Looove to do it with the amazing low carb version SCMilk! Thanks again!! I don’t know for sure, but hey…it’s worth a try! Well, I WAS going to make ice cream for my family, but I think they’d be happy to just drink this condensed milk. It’s DELICIOUS!!! I have a very old, authentic recipe for key lime pie using only 6 egg yolks, a cup of key lime juice and 1 can sweetened condensed milk. Do you suppose I could replace the scm in the original recipe with your sweetened condensed milk recipe? I was planning on making it in a low carb almond pie crust. I have granulated stevia with erythritol. Will this work? I love sweetened condensed milk, but the carbs instantly go to my hips! I do a primal diet, but prefer to not use honey and maple syrup because of those darn carbs, so I use a lot of granulated stevia to make my rare treat. This looks so good, and hope this will work. Then I can do key lime pie and flan! Yummy! I think that will work. Is it a mix of the two? What brand is it? Caroyn,…Girl , you saved my life. First I made your graham crackers. Delicious! Then I took the graham crackers and used them for the crust for these Magic Cookie Bars. Yummy in my tummy.. I did as one person said and added a little more xanthum gum to thicken up my condensed milk . Instead of milk in the cookie recipe, because I am lactose intolerant, I used Atkins milk modification which is Heavy cream diluted with water. I did two tablespoons of heavy cream and the rest was water to make 1 cup of modified milk. Fabulous. You are wonderful and thank you so much for your contribution to low carb world. I was stuggling with this whole carb lifestyle but knowing every blue I can have a treat that will not spike my blood sugar levels. You made me believe that I can cook any of my favorite foods with just little bit of tweaking. So glad I could help, Tina! So, this is the third cookie recepie I have tried from you blog, they have all been good, but this one is by far my favorite! That sweetened condensed milk is amazing. I didn’t know, something sugar free could be this good. I am going to try doing it dairy free next time. I’m thinking almond milk and canned coconut milk. I also used different sweeteners in my recepie. I used 1/4c xylotol and 1/4tsp pure stevia. I used 1c heavy cream, and subbed 1c half and half for the milk, to cut a few more carbs, but not skimp on taste and lastly I subbed 1/2 a vanilla bean pod for the extract. It only took about 30minutes to boil down to the right consistency. But amazing. Its so rich, I only need a tiny piece to curb my sweet tooth. Will be making again… And playing with this one. Carolyn, I made these and they are awesome!!!!! I’m excited to try this recipe and use it in the vanilla ice cream recipe. However, I have one question. I was a bit confused about your comment about not using all cream. So does the one cup cream and one cup milk make that adjustment? In other words, is this recipe exactly what I should use? I used to make a Lemon Meringue Pie for my husband using sweetened condensed milk. It was soooo good! I’d like to try it using your s.c.m. Thank you so much for your website and all of your wonderful recipes! They are superb. I added that comment because several readers attempted 2 cups of cream in an effort to lower the carbs and ended up with a gloppy mess. So yes, do 1 cup cream, 1 cup milk. I can’t be sure it will thicken properly, since Swerve contains some fiber that helps the consistency. But it’s worth a try. So excited to try this! What does “all cream” mean in the ingredients, where It says “do not use all cream”…? Does that mean use heavy whipping cream rather than heavy cream? No…it means make sure you use at least half milk or almond milk because it gets too thick and clumpy if it’s all heavy cream/whipping cream. Late to the party, as usual, but do you think fairlife whole milk would work for the sweetened condensed milk? It’s lactose free, with fewer carbs and more protein than regular whole milk. Some people online have called it Frankenmilk, but I’m intrigued by the concept. I’ve recently become sensitive to lactose, but would love to try to make the SCM. I thought cashew milk might work as well; I’m not a huge fan of the taste of almond milk now that I’ve tried cashew milk. Hi, do you think this can be done using the slow cooker? No, I think the slow cooker would trap too much moisture and it wouldn’t firm up properly. But you are welcome to try! I just tried to make the sweetened condensed milk recipe and it came out a lovely Carmel color and flavor. I don’t think it will taste like vanilla ice cream. I used Allulose instead of Swerve and I wonder if this is why? I’m thinking about boiling down the cream and milk before adding the sweetener. Any reason why I shouldn’t do that? It has to be the allulose. And actually…addign the sweetener after cooking down is something I’ve done lately too and it works well. Oh, yum!!! These beautiful bars are one of my favorite desserts!! When I made these the bottom dough was all crumbly and fell apart. How can I stop this from happening next time? I’ve just made the sweetened condensed milk to use in the ‘Creme Easter Eggs’. It tastes amazing, but is quite dark in comparison with your photo of your eggs. Any idea why this might be? The link to print the condensed milk is broken. Thought you might like to know. I am on a low carb diet! This recipe is perfect and just in time for July 4th! Is the nutritional information for 16 or for 24 bars? At the top of the recipe and at the bottom, it indicates the recipe should be cut into 16 pieces to serve 16, but the nutritional info seems to be based on 24? OMGoodness…these are to DIE for good! I was hesitant to try these, cause I normally don’t like many recipes with almond flour, but oh my, these were PERFECT! They were so sweet that I ended up cutting them into smaller bars….I got 36 tiny squares, and I think that size is just right, at least for me. I am a sucker for magic cookie bars! These look AMAZING! How yummy! I’m going to whip up a batch! I lilly chocolate is a little to pricey for my budget, do you happen to have any other recommendations? To be frank, any decent sugar free chocolate that isn’t made with yucky ingredients like sucralose or maltitol is on the pricy side. It’s expensive to make. You can, however, get some 90% or 85% Lindt chocolate and chop that up. I’ve done that before. It does contain some sugar but it won’t really raise the carb count much. It should probably be okay. The toppings do help protect the crust. The edges may get overdone, though. How do you think using gelatin would work instead of xantham? I have not had a lot of luck with xantham. It always seems to create a slimy texture to me. No, absolutely not in this recipe. You don’t want it to gel, you want it to be thick and viscous. These should be called OMG bars because that’s what I said when I ate my first one!!! 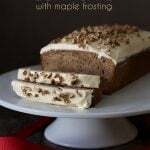 Love your recipes and all of the info you have on here. Keep up the awesome work! Thanks so much for this recipe. Hello Dollies are a family favourite where I come from [Canada]. I switched to keto this year and am so glad to find a comparable recipe. I am also Canadian and grew up calling them Hello Dollies. Thanks Carolyn! I made these at Christmas and they were wonderful! I’m sure I will make them again. Thank you! These bars are so rich and decadent! Everyone loved them! 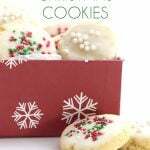 These cookies were so good and I love that they are low carb! 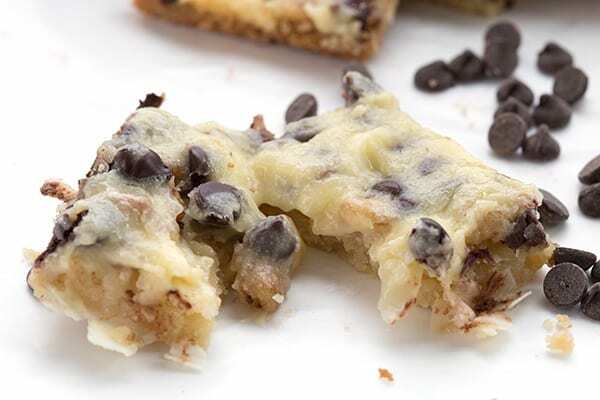 These cookie bars are absolutely amazing! They were a huge hit! These cookie bars looks so delicious. A must try for sure! I am so happy to see you adapted this to fit into my diet. I have been craving these and now I can have them! Yay! !